Prestigia's customer service stays at your service 7d/7 to answer to all your requests by phone or mail. 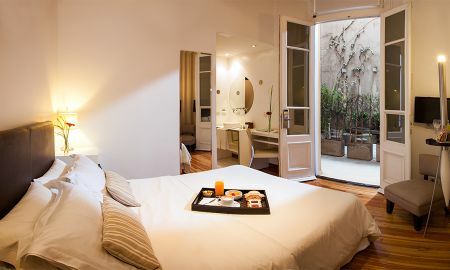 In Vain Boutique hotel, you can feel the Buenos Aires of the early 20th century in a cozy place with avant-garde touches, where every detail has been carefully designed to offer you a unique experience in Buenos Aires. 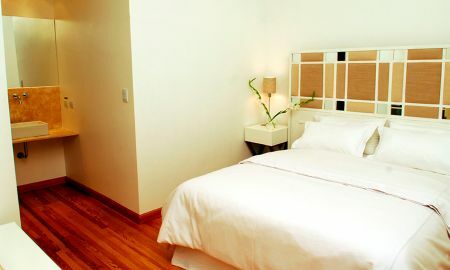 Decorated in a sleek modern style that is both upscale and liveable, the fifteen rooms of Vain Boutique are different but they all share the original architecture of the building, classic and modern furniture, providing guests maximum comfort and a good night’s sleep. For a delicious cocktail or breakfast, join Vain’s bar, an intimate space with contemporary features and soothing atmosphere. 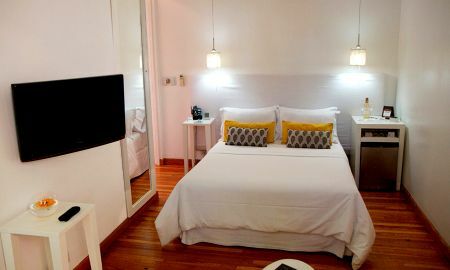 The Vain Boutique Hotel offers also a lovely outdoor patio with aromatic plants and high walls keeping the temperature moderate in all seasons. 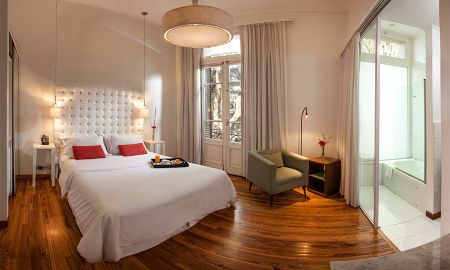 Overlooking the Thames, Vain Boutique Hotel is located in the fashionable Palermo Soho area, a very safe area full of parks, restaurants & bars, next to the botanical garden and the zoo, and only 10 minutes away from the city center. The price is subject to 21% VAT to be paid at the proprety. Foreigners ​paying with a foreign credit card, debit card or via international bank transfer are exempt form this tax when presenting a foreign passport or a foreign ID along with a supporting document handed by the national migrations authority, if aplicable. This tax exemption does not apply for stays over 90 days. In case of cancelled bookings, the cancellation penalties paud by the traveller will also be subject to the national VAT (21%). Select only the nights you want. Travel Agency Licence Number: 9804 / RA: 144265.